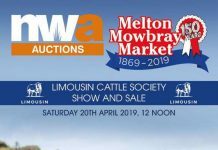 Braydonside Norman, from first time exhibitor Owen Comer, New Moonleaze Farm, Braydon, Swindon sold for 6200gns to top the British Limousin Cattle Society’s November sale held at Brecon Livestock Market on Saturday 10th November 2018. February 2017 born this calf is an AI son of Ampertaine Gigolo and is out of the Haltcliffe Doctor sired Gotham June, a female that Mr Comer purchased for 2800gns at Newark Market in April 2016. 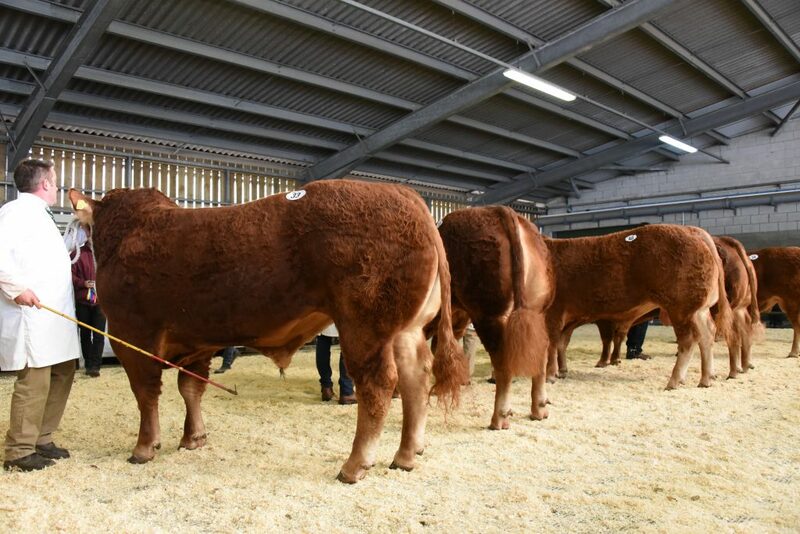 Earlier in the day Braydonside Norman had been placed in the pre-sale show as Senior Champion before going on to take the Overall Supreme Championship from the judge Tomos Price who runs the Reddragon pedigree herd at Pencraig Farm, Trelech, Carmarthen. Purchasing the top price was Messrs Davies & Millichap, Rhiwgarn Fach Farm, Rhondda Cynon Taff. 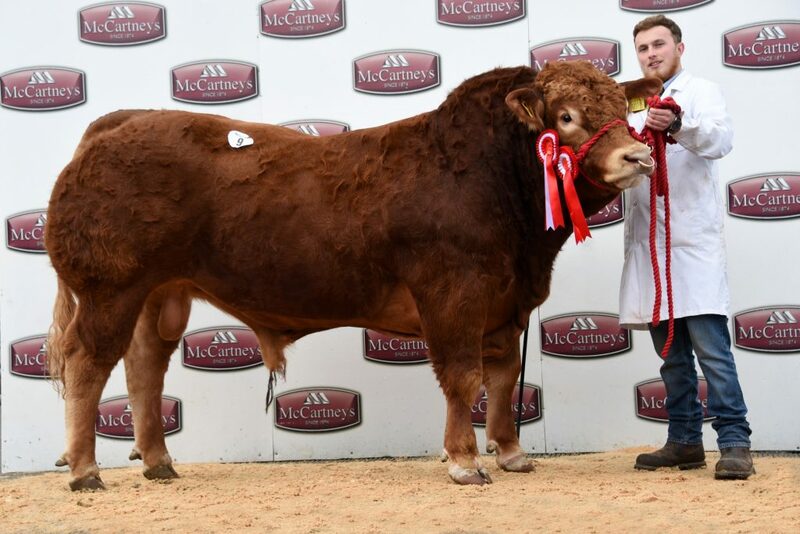 The vendor, Owen Comer, who runs twenty-eight breeding females in his Braydonside pedigree herd commented: “I’m absolutely delighted to come to Brecon for the first time and win the Supreme Championship amongst what was a good line up of bulls”. 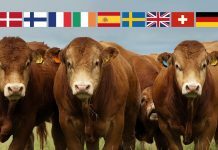 In all the sale saw sixteen bulls sell to average £3206. 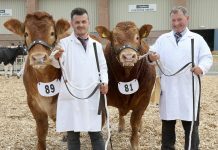 The second top price at 4850gns was the Junior Champion, Ashledge Newton, from regular consignors Messrs AG Kirton & Sons, Severn Lodge Farm, Kinlet, Bewdley whose herd has recently been crowned as the Supreme Overall Limousin herd in the North West Midlands & North Wales Limousin regional competition. April 2017 born, this bull is by Killcastle Horace and is out of Ashledge Hummingbird. Ashledge Newton was bought by Messrs Baker & Son, Great Oxenbold Farm, Weston, Much Wenlock, Shropshire. 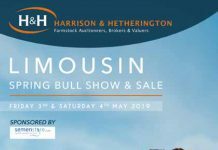 Previous Killcastle Horace sons have sold at Brecon up to 5100gns. 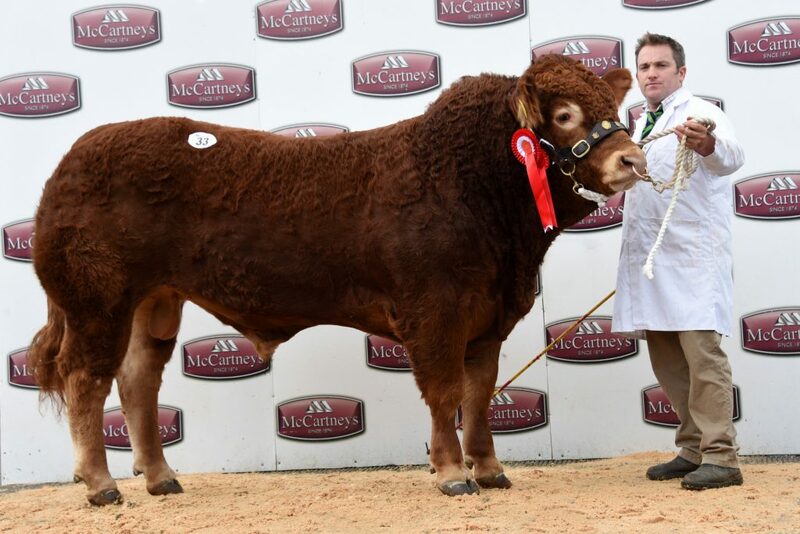 Ashledge Newman made 3300gns when selling to R&J Last, Wernddu, Cribyn, Llampeter, Ceredigion. This March 2017 born bull is by Ballyrobin Gazza and is out of Ashledge Harlequin. 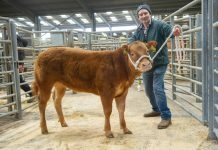 Glencross Nightshift from Mrs C Davies, Glanyfer, Crosswell, Pembrokeshire sold for 3500gns. This April 2017 born bull had stood second in his class to the Reserve Supreme Champion. 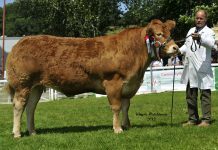 A son of the homebred Glencross Ioncalo and out of Eisteddfa Hawys, this calf came to the sale having stood first in his class and Reserve Junior bull at Pembrokeshire County Show. At the fall of the hammer Glencross Nightshift was bought by DI Davies & Co, Rhydywernen Farm, Llanfaes, Brecon. 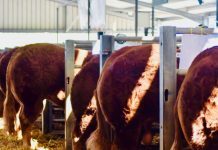 Making 3150gns was the March 2017 born Killerton Nandos from the team of Mr & Mrs PW & SM Greed, Columbjohn Farm Ltd, Rewe, Exeter. Sired by Confluence Layton this bull is out of the Kaprico Donato daughter Killerton Janana. Sporting some strong performance figures Killerton Nandos was bought by M Evans, Home Farm, Manorowen, Fishguard, Pembrokeshire. 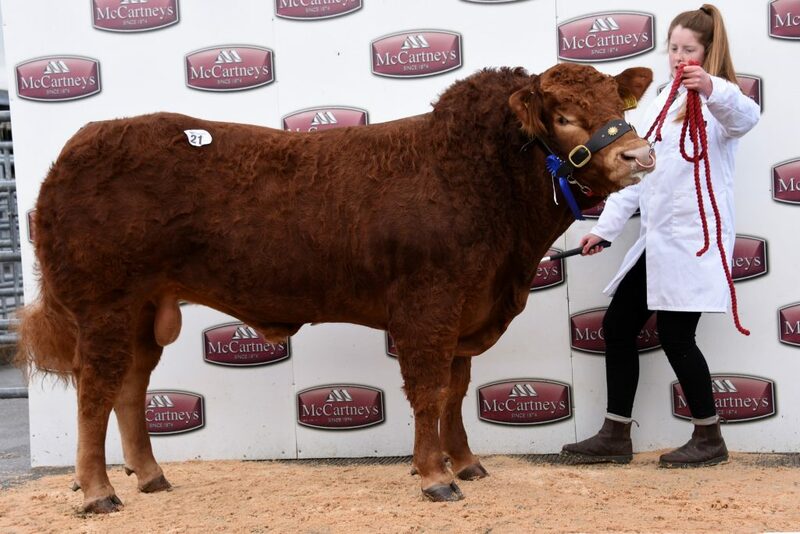 From the small show of females, the top price of 2500gns went to the Female Champion Deri Mochachoc from Mr & Mrs TB Griffiths, Brynderi, Carmarthen. This rising two-year-old heifer is by the noted AI sire Sympa and is out of Dyfri Emerald. She was sold as PD’d in-calf to the polled bull Jinz. 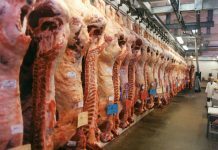 Buying Deri Mochachoc was WH Williams & Son, Dolau Ifan Ddu Farm, Blackmill, Bridgend, Mid Glamorgan.